Hello friends! 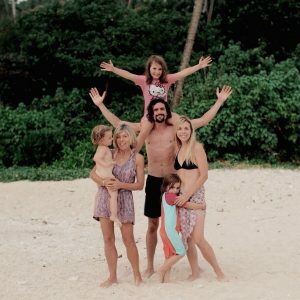 If you’re reading this you’re probably vegan and looking for the scoop on vegan Thailand, or you’re bored, or lost (why not spend your time checking out the most awesome Unicorn cafe ever, or how to find the best vegan restaurants). Before you dive into the foodie bits, make sure you’ve found the best accommodation deals for your trip from Booking.com (click here) or Hotels Combined . We usually stay in non-touristy areas, and the vegan specialist cafes are often in the westernised areas as they are more expensive. I eat a protein-heavy diet; it’s the only way I feel satisfied, eating loads of fruit makes me feel sick (a throwback to when I was pregnant with the girls and fruit gave me horrendous acid reflux) so I need something like tofu or tempeh. Rice and veggies alone for every meal just does not cut it. When I have just had veggies or rice and veggies, there is usually some sort of animal product used to make it. If you order stir-fried greens they are very likely to come in oyster sauce or fish sauce. Even the papaya salad I’ve been loving usually has ground up shrimp, which I would never have guessed if I hadn’t seen a chef make it at a food court. BONUS REASON: Everything is meat. Street food stalls, restaurants, meals from 7/11 (the national convenience store), all meat based. I’ve been in restaurants and food courts where there is not one vegetarian dish on the menu, let alone vegan. So it’s been a challenge. Here are my top tips to ensure you can eat a happy vegan Thailand diet while travelling in this beautiful country. 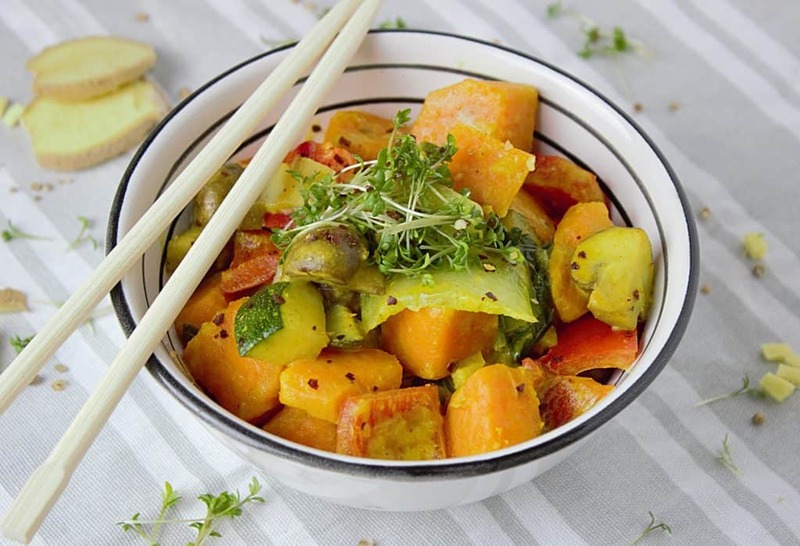 Vegan Thai curry with sweet potatoes and peppers- yes please! 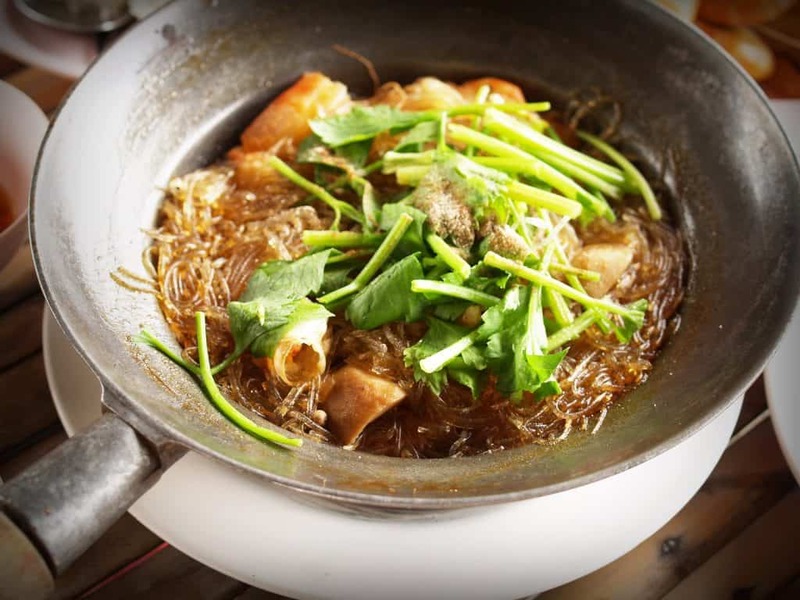 Glass noodle dish- ask for tofu instead of chicken! 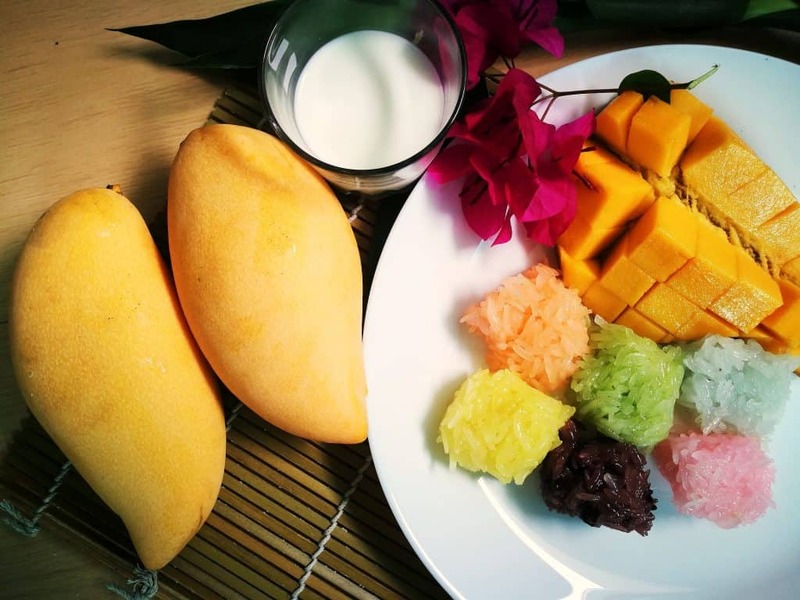 Sticky rice and mango– this is a sweet dish that is actually made in Heaven, sent down to be served on Khao San road and the like. Sticky rice is cooked in sweet coconut milk and served with slices of fresh mango. Bliss. 2. Deep-fried tofu. I had this in Bangkok and it was gorgeous- cubes of tofu in a crispy, salty coating with a soft inside, served with quick-fried garlic, onion and chilli garnish. 4. Rice noodles. See above. What’s better than Thai vegan mango & sticky rice? RAINBOW Thai vegan mango & sticky rice!! So here’s some of my favourite Thai dishes that, with a bit of fine tuning, you can order as a vegan when traveling in Thailand. Here’s a round-up of Thailand’s vegan restaurants (or vegetarian with vegan options) to start you vegan travellers off with some foolproof, ethical, tasty food before you start trying to order from local places! Click on each restaurant for their official website, location, contact details etc. Bonita cafe and social club– A vintage-inspired cafe run by a cute couple and a few cats! May Veggie Home– Serving local and international dishes plus a vegan bakery and vegan ice cream! Thailand is a great place to travel, with loads of fresh, delicious food, beautiful weather and scenery. We have loved our travels and manage to travel on a shoestring budget, even finding apartments near the beach (with pool!) for £300/month. To see the best accommodation deals click here to have Booking.com do the leg work for you, or click here to see what Hotels Combined has to offer. These are the platforms we always use to get the cheapest accommodation short-term (if you’re wondering what we spend in South East Asia in a month, click here for the complete breakdown). If you have found this post helpful please share it with others by using the Pin button or Facebook sharing below! You don’t agree with what? Being vegan?